Teenage Fanclub look a bit different now to how they did the first time I saw them. Back then it was the mid-1990s, the height of Britpop – a genre that never fitted a band with C86 roots. I was 18 and all I knew of Blake, McGinley, and Love was ‘Sparky’s Dream‘, which I’d heard on a compilation tape, and the fact that Kurt Cobain had called them out years earlier as “the best band in the world”. 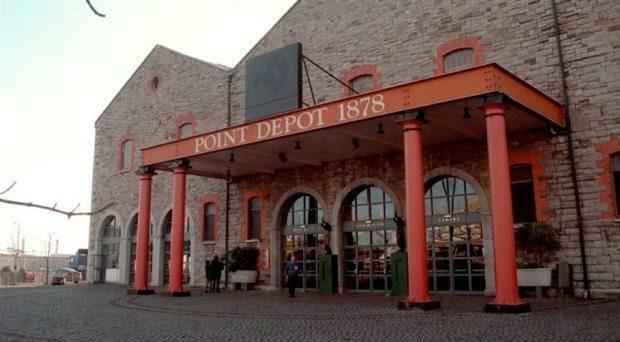 They played the cavernous Point Depot in Dublin, a docklands warehouse poorly equipped for sound. Nonetheless they pulled off a great show, topping a bill which included the Manic Street Preachers and Beck, and rounding out a long evening of loud music and warm beer. Fast forward two decades and we’re all a little different. Gone is Norman Blake’s floppy hair, while Raymond McGinley looks uncannily like my doctor. Gone too, are the thousands who saw them in Dublin – Portland’s Wonder Ballroom, while boasting a healthy crowd, isn’t quite full. And, needless to say, I feel a couple of lifetimes away from the teenager who nodded away to ‘The Concept’ in the Point. What hasn’t changed is the music. In the intervening years, Teenage Fanclub have released album after album of perfectly-pitched guitar pop. The hooks never flagged, the melodies were never second rate. They also never attained the status heralded by Nirvana’s front man but, if they had, it’s unlikely I’d have seen them up close in Portland this week. Seeing though? More like hearing. Visuals were never to the fore for Teenage Fanclub. In Portland, just as in the Point and in Whelan’s (the Dublin venue where I caught them with Jad Fair, in 2002), they led with the songs. And what a batch – the 90-minute set covered music from their first album (set closer ‘Everything Flows’), through the middle years (‘Start Again’, ‘About You’ – a snippet of which below) to their 2016 release ‘Here’ (‘I’m In Love’, ‘I Was Beautiful When I Was Alive’). Also in the mix is, of course, ‘Sparky’s Dream’, the song that started it all for me, and whose lyrics resonate even more now than they did 20 years ago: “That summer feeling is gonna fly – always try and keep the feeling inside”. Teenage Fanclub? The best band in the world. Again.